Stress and the Workplace Research Papers delve into an order placed for a research proposal with specific sections required. 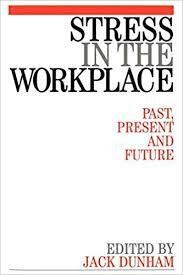 Research papers on stress and the workplace focus on the various aspects of this inevitable phenomena. You dictate whether you want our writer to focus on the psychological aspects of stress or the business elements that are affected by stress in the workplace. The following sections are recommened when doing an upper level research project on stress in the workplace. This assumes you need an in-depth study on the psychological aspects of stress. Introduction section: The introduction section will have at least scholarly references. In this section, you will be describing the literature relevant to your research question. This literature review will provide the basis for the research question (or hypotheses) that you will address in your proposed study. This section concludes with a statement of the research question(s) you are addressing. Method section: Here you will provide all of the details of the study you are proposing to investigate your research question(s). Depending on the exact nature of the proposed study, you will need to have sections on participants, design, procedure, and materials. Be sure to address ethical issues. You may phrase this section in either past tense (as you would in a study already conducted) or future tense (as you would in a study that you will conduct in the future) – the main concern is to be consistent. Method section two: Unlike most proposals, your proposal will have two method sections. The second one will provide an alternative research approach that you might take to answer the same research question(s). Results section: Describe the statistical analysis that would be appropriate for each of the methods you are proposing. Discussion section: Discuss the pros and cons of each of your two methodological approaches. Dimensions for comparison might include such things as internal validity, external validity, cost, ethics, ease of interpretation, etc. Plan different types of program evaluations. Demonstrate the ability to display data through graphs and tables. Apply knowledge of appropriate statistical tools to different research designs. Studies show that since the 1960’s the proportion of people’s lives they devote to work has increased steadily. Work is associated with both positive and negative consequences. Not only can work provide people with more money, fulfillment and satisfaction, it can also cause unhappiness, stress and even physical and mental illness. This review of job stress will explain the issue, causes, and coping strategies. Furthermore, my personal experiences as related to the research will be described. Job stress is the harmful physical and emotional responses that occur when the characteristics associated with the job do not match those of the worker. Such stress can lead to poor health or illness (NIOSH, 1999). The statistics involving job stress are alarming. One-fourth of all employees reportedly view their jobs as the biggest stressor in their lives. Also, problems at work are more strongly associated with health issues than are any other life stressor, including financial and family problems. In understanding work stress and the effects it is important to consider three concepts about the relationship between work and stress. First, stress is an interaction between individuals and a source of demand, or stressors, within the environment. Next, stress itself is neutral, but a stressor is perceived by the individual to be threatening. Researchers believe that the appraisal of stress is an intermediate step in the relationship between a stressor and physical response to it. Furthermore, workers differ regarding their values, goals, individual commitment, personal resources and coping strategies. Therefore, people may respond in different ways to the same stressor. Whistle Blowing - Whistle Blowing is a business ethics issue faced when people inform regulatory bodies about design flaws in certain business and industries. Occupational Health and Safety - Occupational Health and Safety Research Papers examine the goals that protect people in the workplace environments. Ergonomics Assessment - In an Ergonomics Assessment project, there is an assessment conducted in an area of work at a workplace. Google Work Environment - Google is an exciting and innovative company, and the Google Work Environment is a perfect topic for any research papers on corporate work environment. Corporate Employee Benefits - The future of Corporate Employee Benefits are creating corporate malfeasance and greater scrutiny of finances by the shareholders. Diabetes - Diabetes research papers discuss the causes of diabetes and how it affects public health. Cognitive Learning Theory - Cognitive Learning Theory research papers discuss the process the brain undergoes when it learns. Panic Disorder research papers examine a form of anxiety disorder characterized by frequent and reoccurring panic attacks. Woman PTSD Vietnam - Women and PTSD After Vietnam research papers explore the incidence of post traumatic stress disorder in the women that served in Vietnam. Capitalism - Capitalism is inherently competitive and guarantees nothing to those who, for one reason or another, are incapable of competing successfully. Occupational Health Safety - Occupational Health and Safety Research Papers examine the goals that protect people in the workplace environments. Paper Masters writes custom research papers on Stress and the Workplace and delve into an order placed for a research proposal with specific sections required.